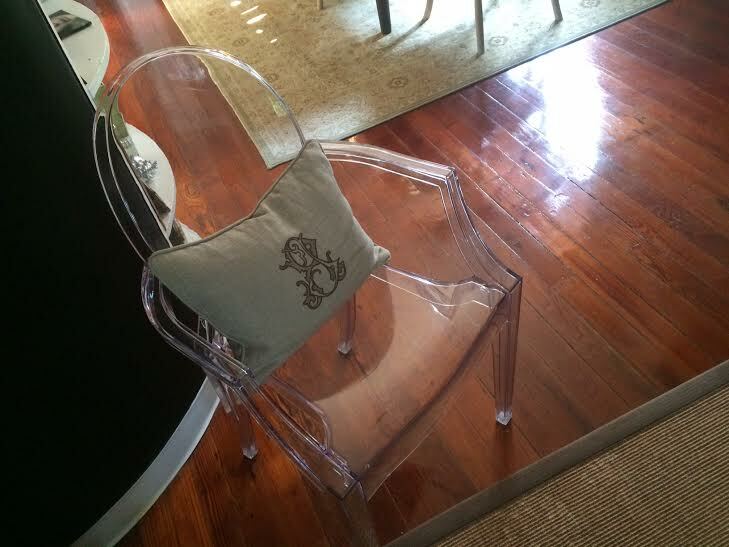 I am not sure why, but I do adore ghost chairs. I cannot believe it took me so long to add to my home. My birthday was last week, and I was happy to receive one. 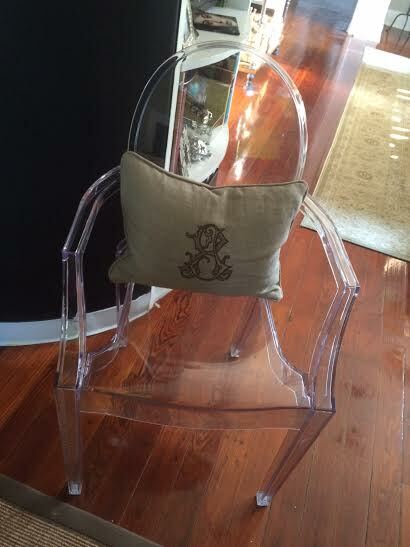 The ghost chair adds a touch of modern flair to my otherwise traditional, classic decor. 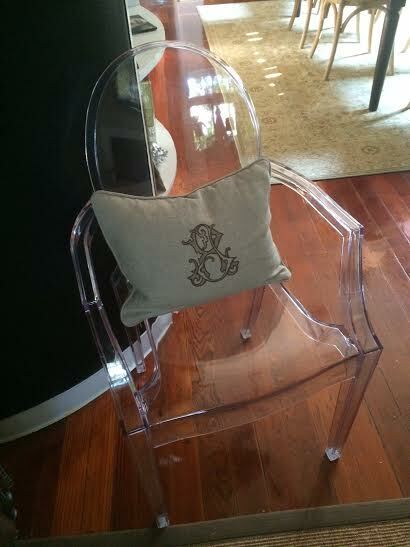 The ghost chair is the reinvention of the classic Louis XV armchair in the modern material of polycarbonate. Philippe Stark is a master at taking a classic form and reinventing it as a modern icon. I added the ghost chair to the den. I love how it does not take up a lot of visual "space". I added a monogrammed lumbar pillow. I'm not sure it is my fave for the chair, but for now it's what I have. I would appreciate your comments on the perfect pillow for the chair. I love this chair too. I see a patterned pillow. I like plaid, maybe geometric, cheetah, leopard????? Love the pillow you are using. Don't change a thing. Wondering if you are a Rick Bragg fan. Just finished his latest book. Just wonderful. Checked it out from my library. Off to get my own copy. Love southern authors and saddened by Pat Conroy's passing. Always look forward to your posts. I'm so jealous of your boldness in your interior design choices! I love the ghost chairs but I'm still too afraid to purchase one for my home--maybe too modern for my taste. You've encouraged me to step out of my comfort zone! They are fabulous, but I'm somewhat of a goof-clutz, so "invisible" furniture is a dangerous thing for me! I really have enjoyed this article on ghost chair.It seemed mesmerizing to me.It remind me the best office chair under 200 dollar at my father in law's office.By the way,that's very comfortable,durable and finely made.